How Do Sharks Give Birth? Sharks have been around for nearly 400 million years and predate dinosaurs by nearly 200 million years. Their reproduction processes are like most large species of animals: a mating ritual and act occur. 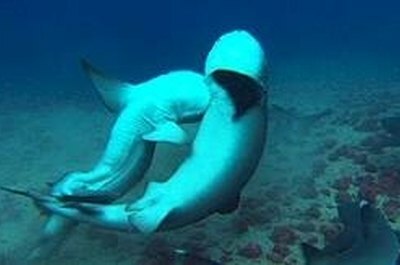 All sharks reproduce internally, and all sharks, upon birth, have to fend for themselves and survive the deadly sea. However, on their evolutionary journey, the sharks' reproduction systems have developed three distinctly defined reproduction devices. The three types of shark reproduction methods are oviparous, viviparous and ovoviviparous. In oviparous birth, mothers lay an egg and the offspring hatches later. You may have noticed a small black satchel with double horns on each end on your last walk down the beach. 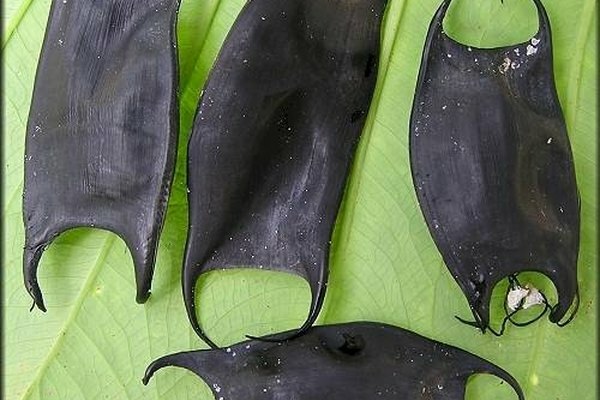 This "mermaid's purse" is actually a small shark that never hatched. The female shark lays her eggs and the horned processes attach the eggs to a rock, reef or other marine structure. The physical cost to the mother shark's health is minimal. All nutrition for the developing shark embryo is encased within the satchel's hard casing. Viviparous birth is much like a human's gestation period. The embryonic shark is brought to full term and is born live. 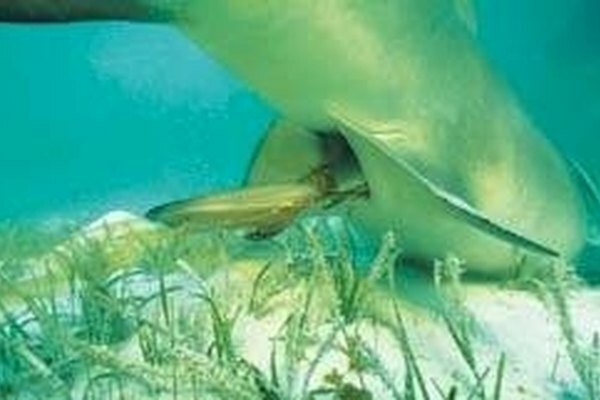 The female shark has a placental sac that nourishes and strengthens the baby shark for the rigors of survival at sea. In the cases where the female shark does not have a placental sac, her body produces a milky substance that nourishes the embryonic shark before birth. Viviparous shark birth exacts a cost on the mother shark's health due to the investment her body undertakes to bring the embryos to term. Ovoviviparous birth is an interesting shark birthing process that takes very little toll on the mother but is fatal to many young sharks. During Ovoviviparous shark birth, the mother never produces a placental sac but rather carries the young sharks alive in utero. The embryonic sharks feed on the egg yolk that produced them. In some extreme cases, such as with tiger sharks, some infant sharks will feed on their brothers and sisters in utero. Moreover, in some sharks (mostly the highly migratory species commonly referred to as mackerel sharks), the female shark will produce a steady stream of eggs which the embryonic sharks feed on during gestation. This form of nourishment is called oophagy. Brandon Shuler is a nationally renowned outdoors writer and fishing guide. He has worn many hats in his life from an olympic triathlon coach to an investment banker. He is currently a Master of Fine Arts of creative writing student at the University of Texas - Pan American.